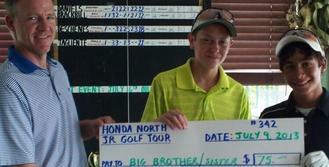 of giving back to their communities. 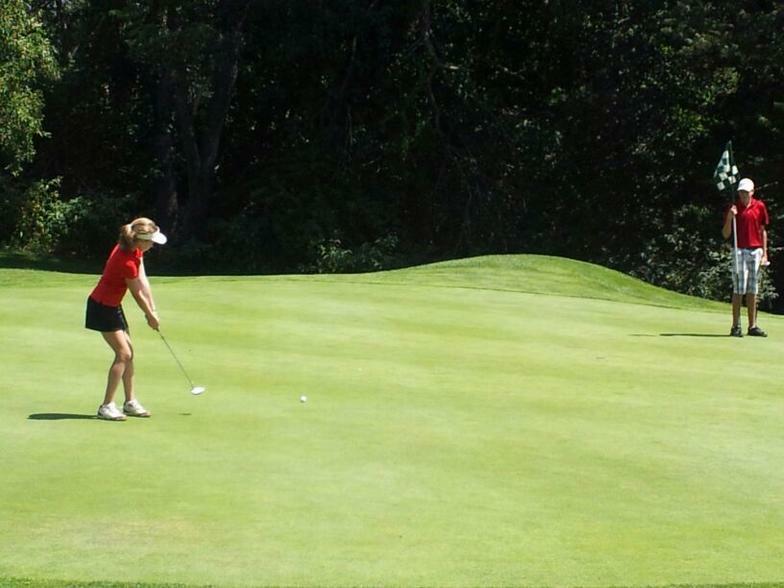 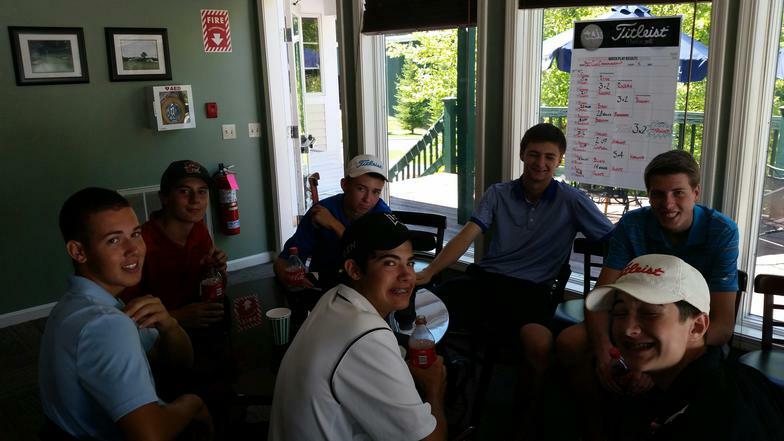 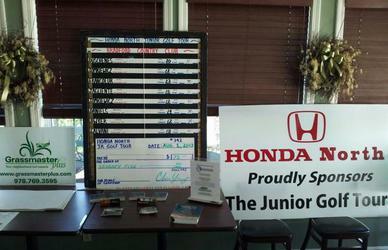 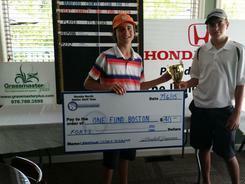 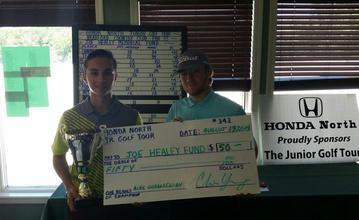 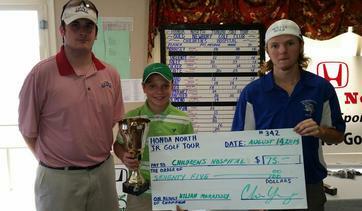 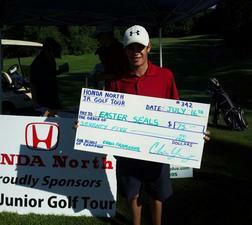 The Honda North Junior Golf Tour. 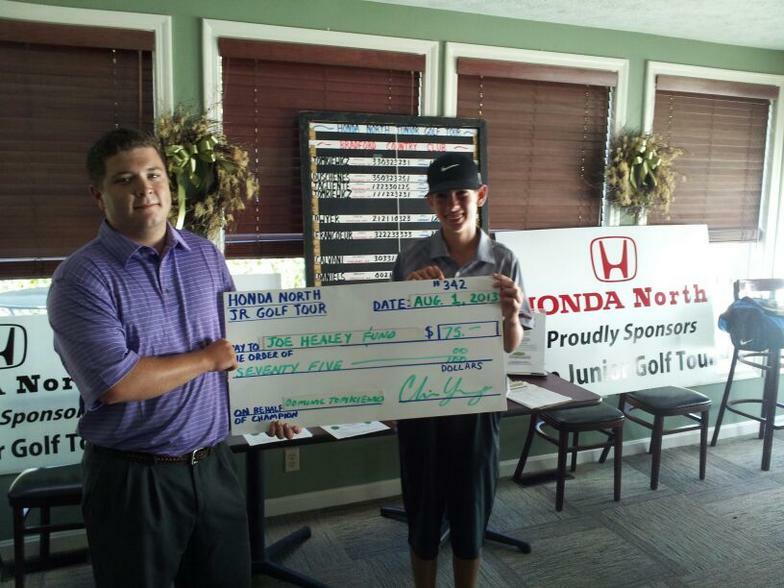 Connor O'Grady, (r), wins at Bradford Country Club. 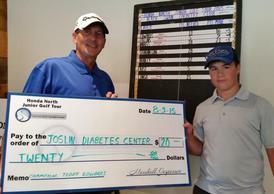 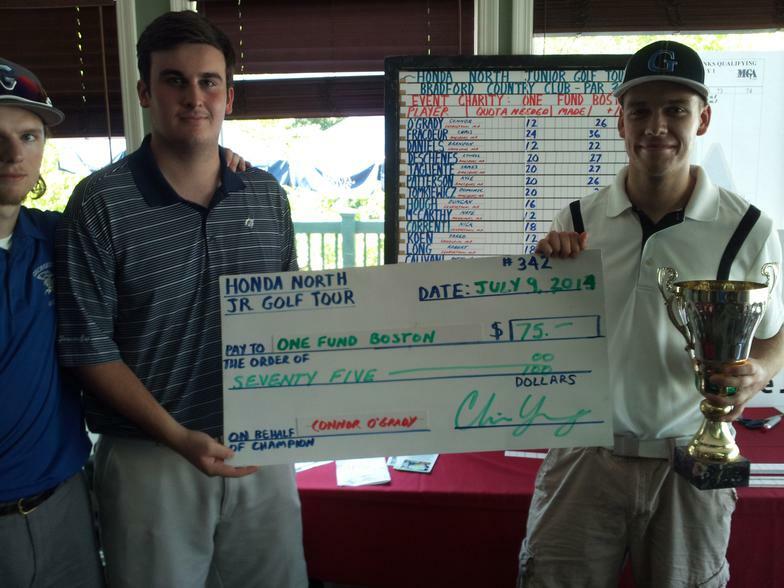 Dominic Tomkiewicz, (left), is awarded his Championship Trophy and Donation Check from Amesbury Country Club Professional, Greg Parker. 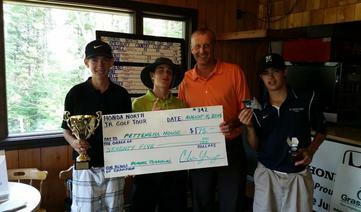 Fellow competitors, James Tagliente and Chris Francoeur join in the photo presentation. 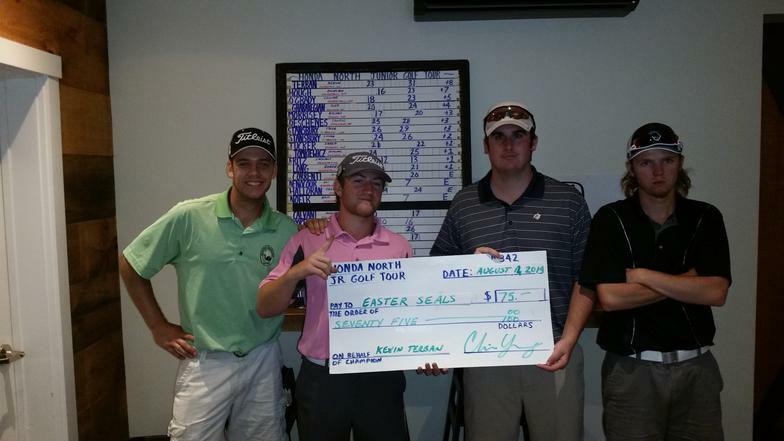 Kevin Terban, (second from left), is awarded his dontation check from Connor O'Grady, Nick Correnti and Duncan Hough for his fine play at Black Swan Coutnry Club. 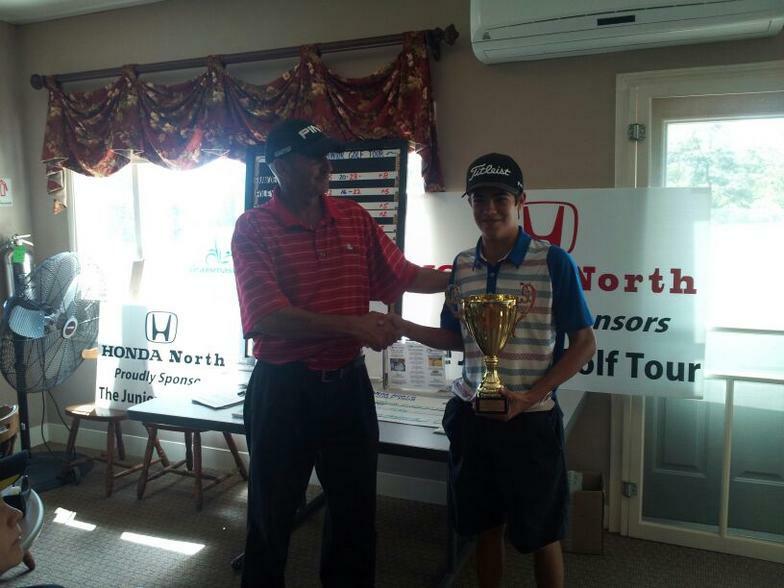 Alex Gharabegian wins at Bradford Country Club.